You can contact Kris in a number of ways. I can be reached by phone or text at (312) 593-7976, by email at kris@aarchicago.com, or you can fill out the form to the right with any questions that you have. Let AAR give you the IT experience that you need and want in your office or home. 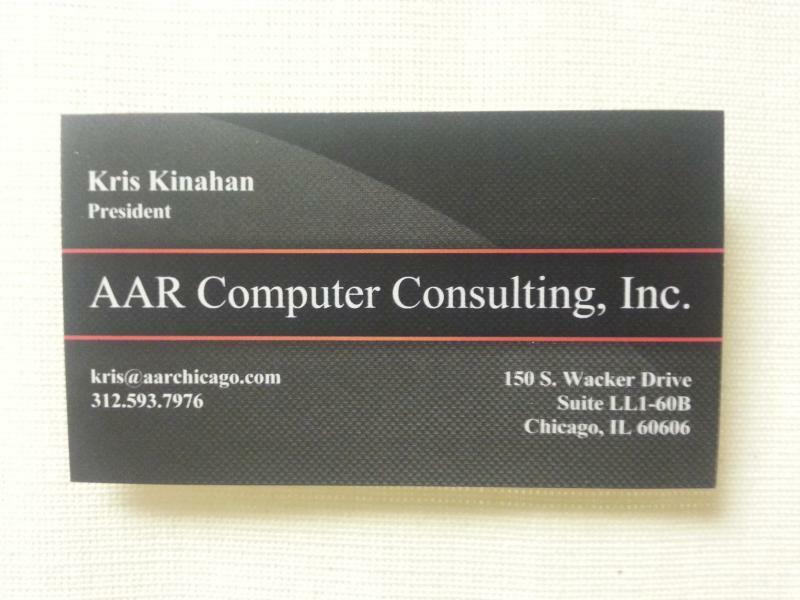 AAR is located at 150 S. Wacker Drive, so when you need assistance, we can be there in no time! Have questions? Please fill out the information below and I'll be in touch with you as soon as I have the answers!